where we cover interesting and relevant news, insights, events, and more related to the health care industry and pMD. Most importantly, this blog is a fun, engaging way to learn about developments in an ever-changing field that is heavily influenced by technology. As we approach the submission deadline for 2018 MIPS reporting and find ourselves in the second quarter of 2019, it’s important to understand the changes that are in store for this upcoming reporting year. As a qualified MIPS registry, pMD gives customers the tools to submit their 2019 MIPS data to CMS and navigate some of these changes using our robust dashboard. 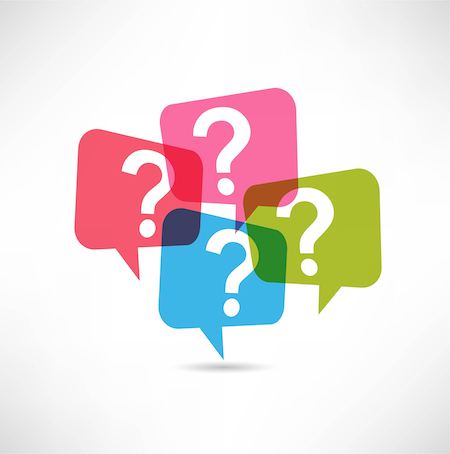 As there are a lot of updates to the MIPS reporting requirements each year, I would like to address a few of the many questions that have recently come up. Interested in opting-in to MIPS this year? Keep in mind that opting-in may be irreversible, but stay tuned for an announcement from CMS QPP on where and how to opt-in later this year! In previous years, claims-based submission was a viable option for many clinicians and organizations to report. This year, claims submission is only available to small practices who have less than 15 providers. Larger groups may want to look into submitting through a qualified registry, QCDR, or your EHR. Questions about how to submit through a qualified registry? Give us a call at 800-587-4989 x2 to discuss your reporting options! One of the more notable changes to Year 3 is the change to the final score breakdown. The contribution to the final score for the Quality category decreases to 45% and increases to 15% for the Cost category. There are no changes to the contributions of Promoting Interoperability or Improvement Activities categories. Another change to the Quality category is that the small practice bonus for groups with less than 15 clinicians is awarded to the Quality section so long as there is at least 1 quality measure reported. This differs from Year 2 which awarded the 5 points to the final score total. As the QPP rolls out the MIPS program in stages, we will see increased difficulty in obtaining a positive payment adjustment. The first year of MIPS offered a “Test” submission in which by submitting any data, clinicians can easily avoid any penalties. Last year, clinicians just had to score 15 points to avoid the penalty and be eligible for a positive payment adjustment. Beginning in calendar year 2019 (MIPS Year 3), the performance threshold had been increased to 30 points. Clinicians scoring under 30 points for their MIPS Final Score are subject to a negative payment adjustment. For groups trying to obtain the Exceptional Performance bonus, that threshold was also increased to 75 points. Speaking of payment adjustments, the maximums have been increased for them as well. Clinicians who fail to sufficiently report MIPS are subject to a penalty of up to -7% payment adjustment on Medicare Part B FFS payments. On the flip side, the maximum bonus can be up to a positive 7% payment adjustment - however, to keep budget neutrality, it will depend on overall submission performance and will be scaled and distributed appropriately. A full list of changes to the Year 3 Final Rule and the most up-to-date information can be found on the QPP website. Questions on your 2019 reporting options? Feel free to take a look at what we offer for MIPS reporting here, or give us a call at 800-587-4989 x2! Find out more about pMD's suite of products, which includes our MIPS registry, charge capture, secure messaging, clinical communication, and care navigation software and services, please contact pMD. pMD’s elegant, intuitive mobile software for health care professionals makes it easier to provide outstanding care for patients. You’ll capture charges and patient data more accurately right at the point of care, and stay legal, thanks to our HIPAA compliant texting and data capture platform. More efficiency, better collaboration. As a health care provider, you’ll spend less time wrangling annoying details and more time doing your job.